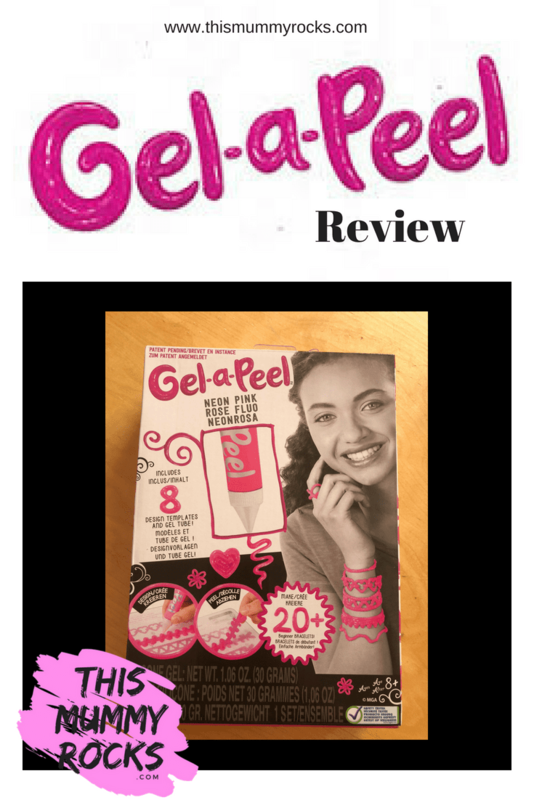 When I was asked to review Gel-A-Peel from MGA Entertainment. I was intrigued to give it a try. It looked like the kind of craft I would’ve loved as a little girl myself. Gel-a-Peel isn’t something I have used or heard of before. But I’m all for creative activities targeted towards school age children. 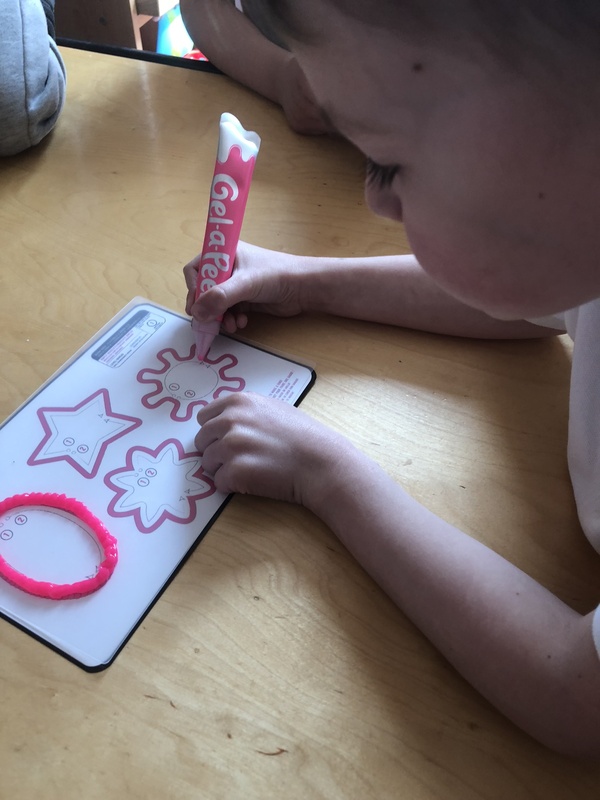 Even though Gel-A-Peel is designed and marketed towards girls, I thought it would be interesting to give it a go with my own boys and the school aged girl mindees I take care of through my job as a childminder. This activity is for 8 years old and above so I knew from the start that it wouldn’t be easy for the children under 8. Therefore a lot of supervision and a helping was given to the slightly younger children to design their own creations. As soon as I showed my sons and mindees the package they jumped at the chance to give it a go and make their own creations. I mean, it looks so simple and effective. All you have to do is Design, Peel, Wear and Share. Gel-A-Peel is a Silicon based gel. With the silicon gel you can create your own jewellery and accessories. This craft, is targeted towards girls aged 8 and over. Making it perfect for your little fashionistas. Your little darlings will love this, especially if they love fashion and jewellery. What is included in the Gel-A-Peel Starter Kit? 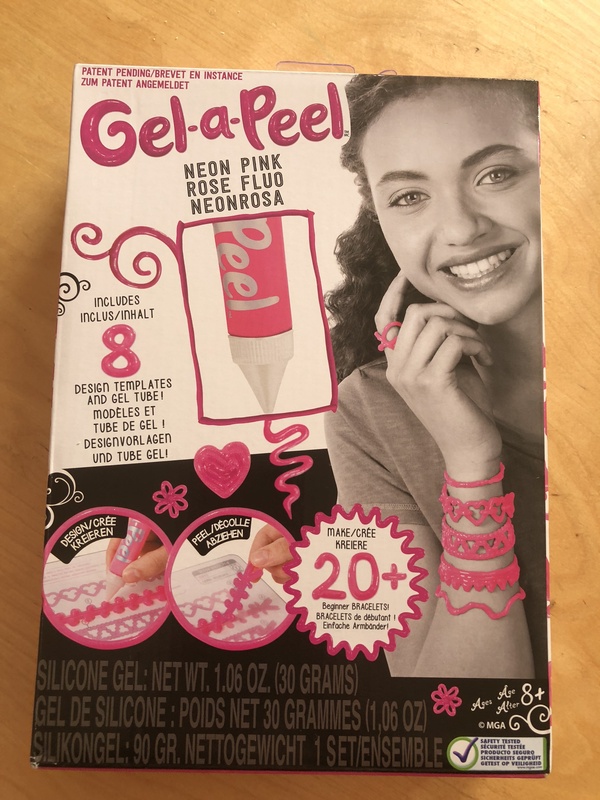 The Gel-A-Peel Starter Kit comes with everything you need to design and create your own fashionable accessories in Neon Pink! Each kits states it can create 20 beginner bracelets. That’s pretty impressive! Choose one of the templates supplied in the pack. Pick your coloured silicon gel pen and choose a designer pen tip to create your desired effect. Place your template beneath the clear acetate sheet provided and trace your design. Check the drying time on your template. When your creation is fully dry, peel off your design to wear and share! Check out how easy it is for yourself! The instructions that come with the kit are very easy and straight forward follow. Before you begin you have to remove the protective cap on the pen and add the tip. You can choose the template design you want and place the clear application board over it. It is best to use some sellotape or washi tape to keep both in one place on the surface. 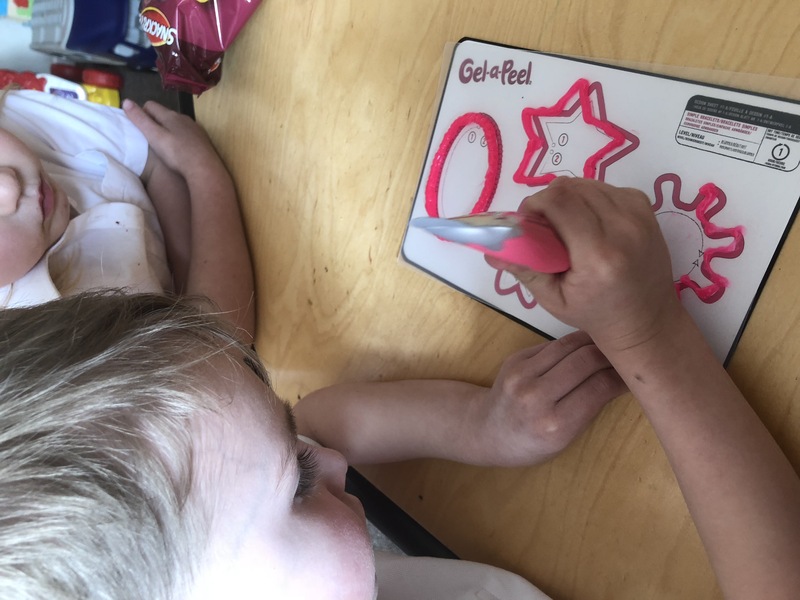 The gel pens are very easy to use and the gel flows well. Once children had the knack of squeezing and drawing with the gel pen at the same time, this craft is pretty easy and manageable. Not a lot of effort was needed. Once you have finished your design session, make sure to take off the application caps and clear out any excess gel with the cleaning tool provided. I was glad to see that not much gel was lost doing this. Put the protective cap back in and the lid and the gels will stay fresh for the next time its used. Once finished allow your designs to dry. The design templates tell you how long you need to leave the item to dry before you can ‘peel and share’. Simple designs with just one line of Gel-a-Peel are around an hour and the more complex, multi layer bracelets can be around 2 hours. But upon checking after the recommended drying time we still found they were still a little ‘tacky’ and not fully dry. We left ours for a few extra hours. Once dried, you can carefully peel your creation off the clear application sheet. We found that you some areas of our creations were thin and fragile. I would recommend that you make sure that you use a good amount of gel to give a thick and even layers or it can be too fragile and break once dry. If this happens it can be easily fixed by putting some new gel over where it has snapped and waiting for it to dry. Once dried and peeled, the silicon gel is stretchy and elasticated. Its surprisingly strong too as long as its thick enough. With the Starter Kit SRP at £5.99, I personally think it would make the perfect inexpensive birthday gift for your childs girl BFF. Or Christmas stocking filler. Even though it is marketed towards girls, my boys loved it. But I don’t see the problem with boys using it and making their own creations. For £5.99, I personally think its great value for money. Just think, to buy one single bracelet would cost around £3! Even though it is targeted towards girls aged 8 years and over, my 5 year old son managed to make all of the ‘simple’ templated designs all by himself. He even made some of his own designs and creations. It definitely kept the children entertained and put their creative flair on show. 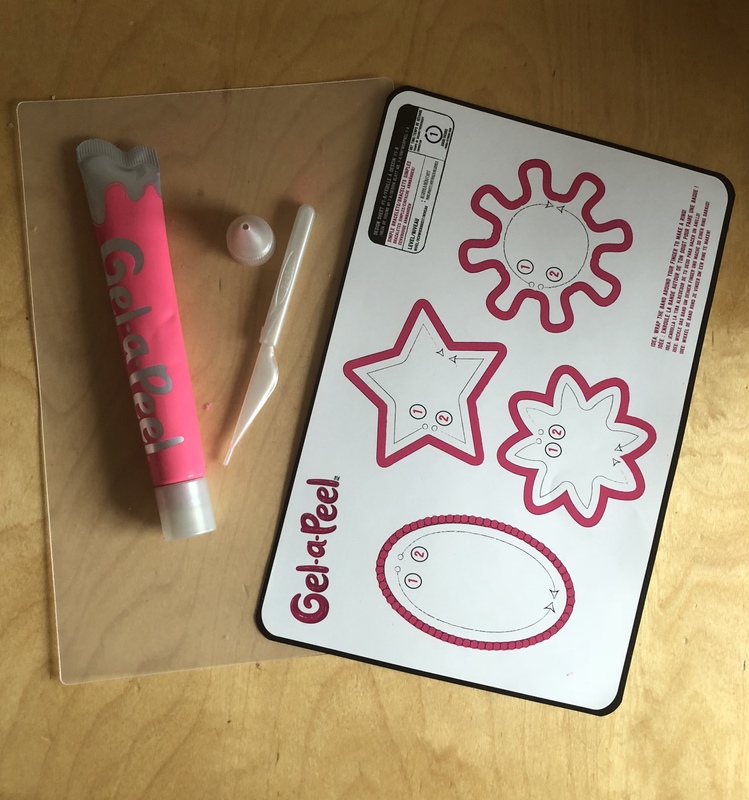 Gel-A-Peel also has a range of products including Accessory kits, Deluxe kits and Fashion Maker kit. To read more reviews check out the REVIEW section. *Disclosure: we received the Gel-A-Peel Starter Kit in exchange for a blog post. However, all the thoughts and opinions are my own. Previous Post bakerdays Review – Celebrate With Cake…With A 15% Off Discount Code! I’ve heard of gel-a-peel before but didn’t actually have a clue what it was. Now I do and think it looks great. I think my 3 yr old may be a bit young yet but give it another year and I think she could do it with some help, its right up her street.